Bone broth, one of 2015’s biggest national food trends, is coming to Washington. 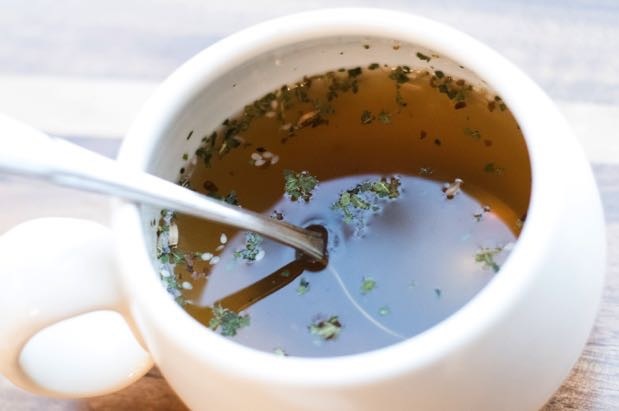 The specific trend, actually, is cafes dedicated to making nutrient-rich broth that’s easy to grab on the go. Sisters Tressa Yellig and Katie Yellig, the owners behind Portland’s Broth Bar, which opened in August of 2015, claim to be the first in the nation. Tressa has been making and selling her bone broth in Portland through her business, Salt, Fire and Time, since 2009. This summer, they are opening a cafe in downtown Olympia’s new food hall, 222 Market, right around the same time Seattle's Josh Henderson of Huxley Wallace Collective plans to open Poulet Galore, a rotisserie chicken window on Westlake Avenue in South Lake Union that will have a dedicated bone broth bar. The Yelligs’ Broth Bar will ship to Seattle, natch, and serve as a retail outpost for Salt, Fire and Time’s line of kombucha, grass-fed beef jerkies, and Olympia’s own OlyKraut, a raw fermented vegetables company. The hall will include several other craft companies, including an oyster bar, bakery, distillery, florist, gelateria, grocery and cooking school. Back to bone broth. Even though it is a trend, it is nothing new. Celebrities and paleo diet followers have elevated bone broth's status lately, but our grandmothers have been making soup with animal bones forever. The only difference, perhaps, is that they weren’t always familiar with the source of their meat. Or they didn’t let it simmer overnight. What the Yelligs and owners of other broth-only spots, like Brodo in New York and Sip Bone Broth in Los Angeles, are touting is their bone source and the ratio of bones to liquid. For instance, the Yelligs source bones directly from farmers and ranchers in the Pacific Northwest who raise their animals on pasture, grass-fed and grass-finished. Broth Bar’s broth also contains almost two pounds of bones per quart and is cooked in small batches for three days in order to release the maximum amount of beneficial micronutrients. Bone broth is thought to improve digestion, rebuild cartilage, boost immunity, and aid in muscle recovery and boosting immunity.